Downloadable version - click here. So, you’re thinking of buying a Smart Roadster? Excellent, you’ve made the right choice, you won’t be disappointed. Consult the information on each model (using the above links) to make sure you know which model is which before looking at any! I’m not a car mechanic. I do not claim to be an expert on Smart roadsters! I have put together this buyer’s guide from information I have collected from other enthusiasts and specialists. Use it as a rough guide to checking out a potential car purchase. It is by no means an extensive check list, and I can not be held responsible for the way in which you use this information. Buying a particular car is entirely your decision of which I am not responsible! All new roadsters came with a two year warranty, which is not a great deal by todays standards. Older cars purchased through a dealer network may come with a third party warranty, read the small print and check to see what exactly is covered, some policies are better than others. Check that it specifically covers water damage to the electrics, although roadsters can be sealed! Check all windows for scratches or chips. The front windscreen is not heated, so although not the most expensive screen to replace, it will still cost a fair amount to do so. The side rear glass on the coupe is plastic, servicing can mean it needs to be removed, so make sure it is not scratched. Check the wiper blades are not low, not expensive but a sign of a cared for car! Electric windows should operate smoothly up and down, no jitters. All roadsters are going to look clean and shiny! They have plastic panels, painted, and lacquered. Check that there are no deep scratches, also check the lacquer is not peeling. Replacement panels would need to be painted to match the car. Look around the rear wheel arches, there are often stone chips there, it is not a big deal but might be taken into account when negotiating a price. Note: My black roadster Brabus coupe rear wing has faded to grey, it’s even, so I don’t believe it’s sun burn. It seems to be a common fault. At a large meeting I saw several black roadsters with faded panels, the tridion no longer colour matched, and yet the tridion hadn’t faded. I have also witnessed yellow roadsters in three different shades! So they fade too. I guess the thing to do is just look and see if the colour is even all round. My car looks bad now, hopefully Smart will sort it out under warranty. Make sure both open from the inside and the outside. And both lock. It is quite common for a catch inside the door to come loose and not permit the door to be opened. FRONT BOOT: Lift the front trunk liner out (undoing the retaining screws with a coin) and see what surprises are in store - probably nothing, but it's worth a look. The battery is under there, batteries are usually designed to last three years, some longer. Check the connectors on the horn (passenger side), they have a habit of going rusty and stopping the horn working. STEERING RACK: While you are under the front boot liner, check the steering rack. It should be tight with no movement, if you can lift it by holding the steering column then it will be in need of attention. 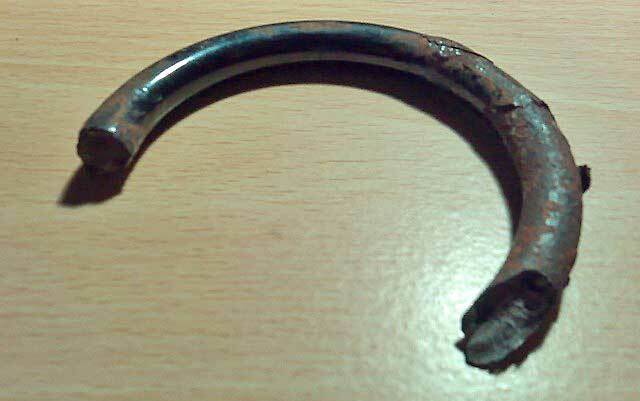 You need to check the front springs for corrosion. I've seen several reports of these broken on Smart user forums. I believe it may only apply to earlier models. If you could take the wheels off it would be easier to see! On the left, front spring shown in place on a Brabus with the wheel removed. These ones are fine. And a piece fallen off one that has corroded. Roadsters should stop on a sixpence, just make sure there is no pulling to the sides. Some drivers do report that the brake pedal feels a bit spongy, that is just a roadster characteristic! Depending on the wheels fitted you might be able to see the wear on the brake pads, and also the wear on the disks. Even a low mileage model can have a damaged disk, mine had just 10,000 miles on the clock when a disk was scored by a stone stuck between the brake pad and disk. Front pads are not expensive. Check the front brake discs for wear. Discs should be good for at least 20,000 miles, possibly two to three times that figure depending on how much use the brakes have had. A set of replacement disks, including pads, will probably cost around £200. There is not a vulnerable cam belt, instead the roadster has a timing chain. This chain can sometimes rattle a little, again it’s more of a characteristic than a problem. The usual rules apply for checking the oil. Check the dip-stick, look at the colour and texture of the oil. Also check the inside of the oil filler cap is clean, you do NOT want to see a grey sweaty sludge, this would indicate head-gasket problems. Note: Roadsters do not have a sump plug, the oil is sucked out by via the dip stick entrance, dealerships have a pump for that purpose. Some people do their own oil changes, but it is not easy. There are those that have replaced the sump with one that has a drain plug (a third party modification). 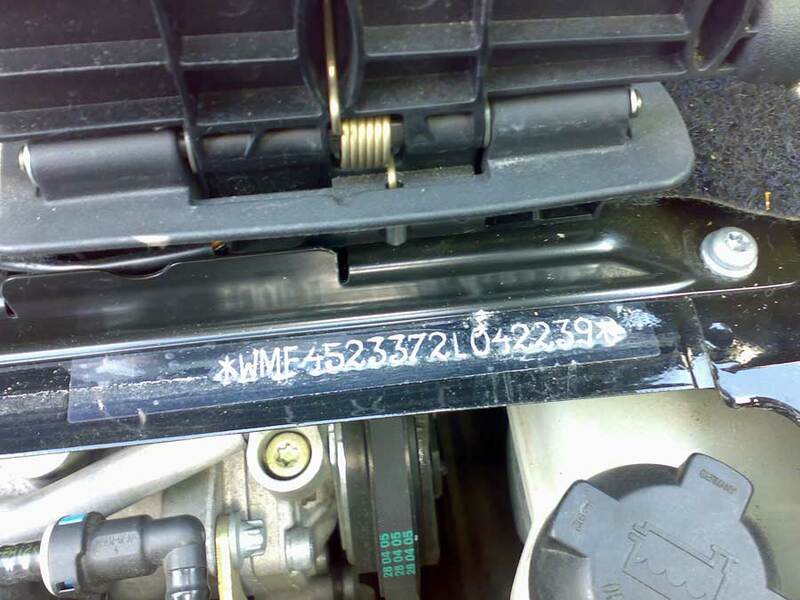 You need to check the chassis number, it is stamped into the edge of the engine bay at the drivers side (RHD) towards the front of the car. It is repeated in the drivers door shut, however, the door shut is only a sticker and may have been removed for cosmetic reasons or worn out! The two numbers should match, and more importantly they need to match the DVLA paperwork for the vehicle. 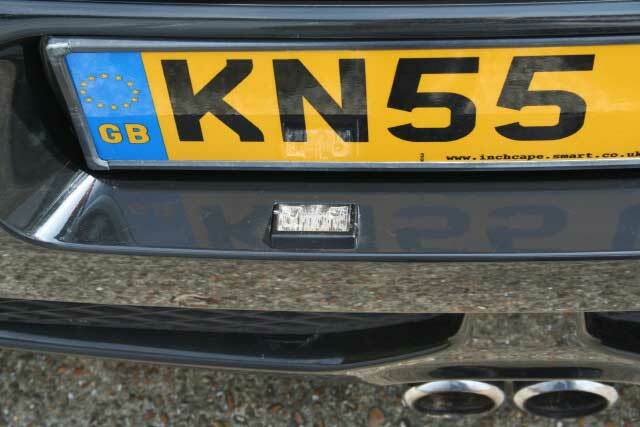 Use the chassis number and registration plate to do an online search of the vehicles history. It is also interesting to note that the last five digits of the chassis number is the build number. There were exactly 43000 roadsters made, numbered sequentially as they came off the production line from 00001 to 43091 - erm...I know the maths does not add up, I guess they skipped a few numbers. Check the hand brake works, when the car is turned off in the “Neutral” position it is all that holds the car. 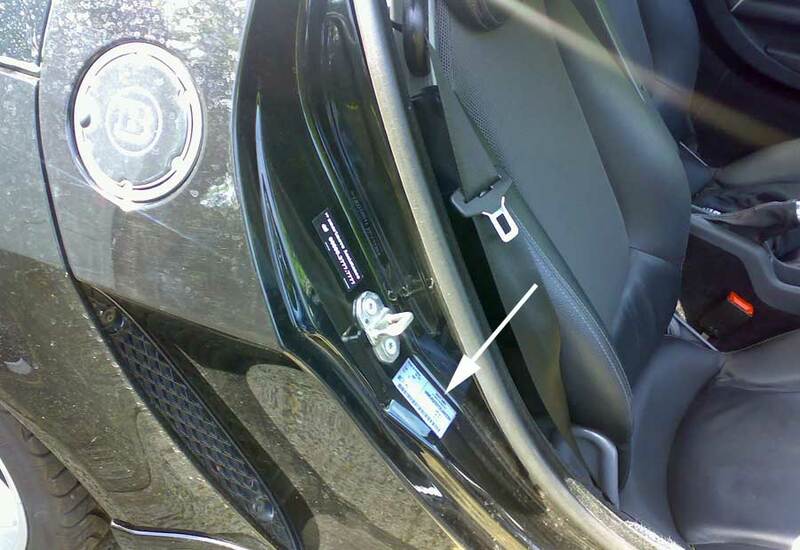 Roadsters can engage reverse before switching the ignition off, this locks the wheels, it is the equivalent of putting an automatic into “Park”. It is not uncommon for any of the models to have been remapped. This involves replacing the software that controls the engine management with new software to perform differently, some giving more acceleration, some more torque at various speeds. 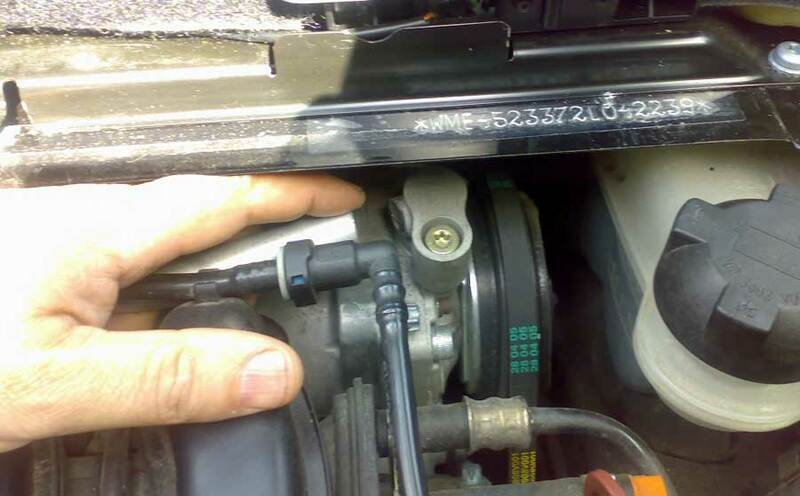 Remaps would officially invalidate a warranty, however Smart dealers often do not detect it. You need to make your own mind up about remaps, but just because the car has a remap it doesn’t necessarily mean it has been driven hard, as someone pointed out, just because you have the extra power does not mean to say you will use it every second of every journey, just as you would not floor a car every journey. It should feel tight and accurate, no play. Roadsters drive like they are on rails, the car will go exactly where you put it. Make sure there is no clunking when moving from lock to lock. It seems like the most unlikely car to need it, but most roadsters have power steering, this does cut out at higher speeds, not that you can notice. A few owners have reported needing a new steering rack. Check all lights are working. Some bulbs can be a job to replace. Headlamp units are not overly expensive, allow about £50 to replace a cracked light (if you do it yourself). Xenon light bulbs fitted into standard units are not legal. Xenon lights, however, if fitted as a factory option are legal and will have headlight washers fitted. A factory fitted Xenon unit is expensive, roughly £500 per unit. Finales and Brabus Xclusive models will not have factory fitted Xenon units, because the plastics were too shiny then lights caused too much dazzle, so it was not an option on cars with colour matching front panels. Check that the 2 lower grill lights function correctly, they match each other (there were 4 different types) and make sure the glass isn't broken as the units are expensive to buy and awkward to fit. Check all the rear lights work as the Roadster can suffer from water corrosion in the wiring loom to the rear lights. Also pay attention to the lenses, check to see if any water is trapped inside. A small hole drilled into the lens will sort it out. Check the panel lights up evenly, it uses surface mounted LEDs and they are hard to replace! Seats generally tend to stay in good order, just check for accidental tears or burns from cigarettes. I always look at the ashtray and lighter, I like to see these unused. they need to flex as the engine moves around and seem far too rigid for the job. 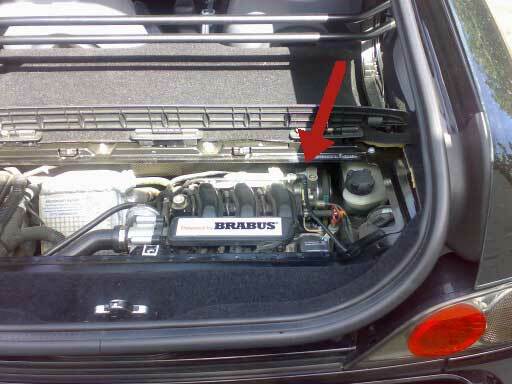 These pictures show a 2005 Brabus Xclusive with a broken pipe after just 12,000 miles. That same car is just about to go in for it’s FOURTH set of pipes! Look for cracks, not just breaks. Although be warned, they can be so fine you will not see them! Air conditioning then, although nice when working, can be a very costly repair. Look at between £600 and £1000 depending on the dealers labour, they have to lower the engine, fit the new pipes, check the system for leaks, re-gas, test, etc. Don’t expect the pipes to last on a repaired system though! You might want to put air conditioning low of your shopping list! Open the roof instead! Two sets of keys is important. Both must work to lock, unlock, and immobilise the car. If a key is not working you will need to get the cars SAM unit reprogrammed by SMART to recognise it. Keys should be rotated frequently to ensure both are kept in sync and working. Reprogramming a key might be expensive, the price seems to vary from one Smart dealer to the next, so check first. 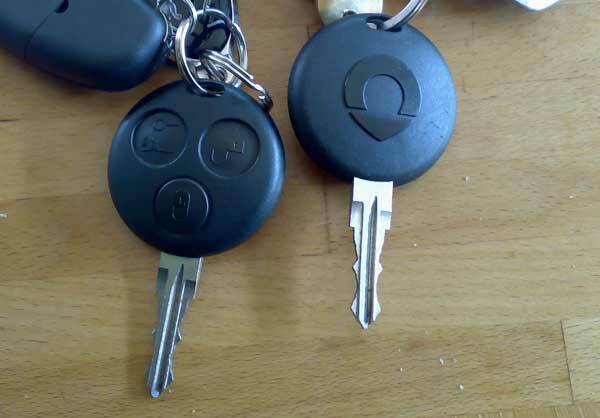 To buy a second key and get it programmed could cost between £100 and £160 pounds! Ideally you want to run a hose pipe to simulate rain fall over the roof for a few minutes. Leaks tend to come where the roof bars meet the door glass, particularly front and rear, by the gutters. Bad seals will be apparent immediately as you see quite a stream of water run down the inside of the glass. A tiny drip after a few minutes is acceptable in my opinion, a stream is not. Dealers will adjust the window and door position, and possibly fit new seals in order to rectify this. You can make the adjustments yourself providing your happy taking doors to bits, there are some guides available on the internet to help you do it yourself. Boot seals have been known to leak too, so check for water stains on the carpets in the boot too. And remember, everywhere might be dry now, but it could have been dried out for the sale! Don't believe a dealer that says they washed the carpets, carpets tend to vacuum clean or brush up, if they're that bad to need washing it must say something about the way the car was kept! The most serious of leaks comes from the front bulk head where the tridion meets. You should take out the inner boot lining and have a look at the seals there. You may see additional sealant added by the dealers as either a fix or a preventive. Front end leaks can be serious, water can get into the electrical control box and cause corrosion, the electrics then go haywire, flashing lights, wipers that will not turn off, etc. A replacement control box will cost a lot, around £500 for a “SAM” (fuse box) including fitting and coding. Check for droplets of water in the rear center brake light, it is easily fixed but shouldn't be like that. 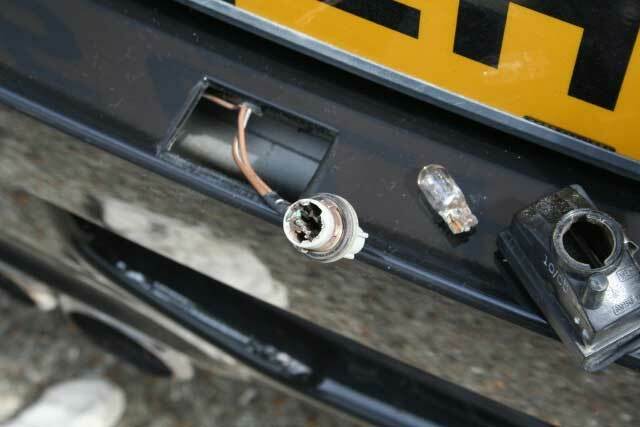 Check the number plate lights too for leaks, they are another easy fix. 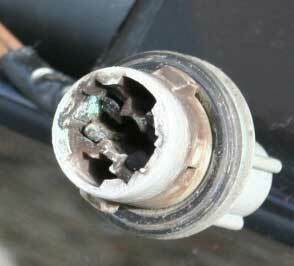 However, in either case, if left with water in them, it can corrode the bulb sockets. Check they have not been “kerbed”, and consult the model guide to see which wheels should have been fitted. 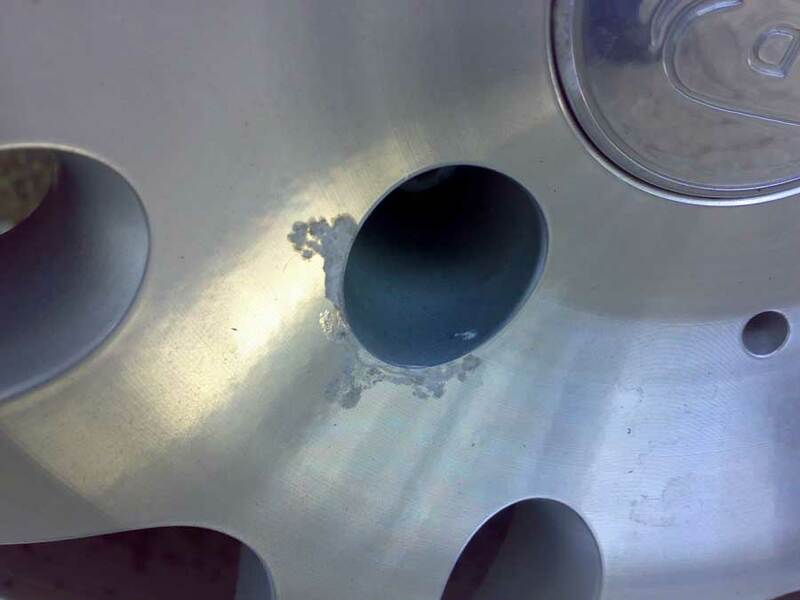 Smart alloys often loose their lacquer and can look unsightly, there are companies that specialise in refurbishing wheels at about £50-60 per wheel. You should really check the wheels are not buckled or have any flat spots. To do this, jack the car up and spin the wheel, looking from both the outside and the inside should reveal if there are any distortions. Brabus wheels seem to buckle very easily. Check it! Brabus wheels are over £350 each. You may not feel a buckled wheel while driving it. Where a soft-top is fitted (which is most cars), make sure it moves back and forwards smoothly without jerking. It is not uncommon for the fabric to fold itself incorrectly on the way down, this is easily rectified. The roof should be quite black, a faded roof probably has not been looked after well. Smart, and other companies, sell treatments to clean and seal the roof, these should have been applied regularly. Water should sit on a well treated roof in beads. The side roof bars clip under the front boot space, there should be an end piece to slide on each roof bar to allow it to clip in place under the front, make sure both of those are present. The roofs do have a tendency to creak, it’s part of the character! It is not economically viable to fit an electric roof to a roadster supplied only with a hard top. Although a hard top can be fitted with a few modifications to the edges, however it may cost around £600 to £800, they come up for sale second hand from time to time. Ask the seller what they have treated the roof with, if it has been well cared for they would have used some kind of water repellant on it specifically for “rag tops”! Refer to “Leaks”. Ensure everything works! Roadsters are sports cars. The best handling is achieved by running on quality tyres. A non-Smart dealer selling you a car saying he will fit you a new tyre or tyres is likely to fit the cheapest of cheap, so make sure you only accept one of the big names. Budget around £100 per tyre. Bridgestone tyres and Continentals are the brands Smart fitted. Both Bridgestone and Continental are recommending a maximum life of 10 years for their tyres, you’ll find more information about this on their web sites. Check the state of the tyre side wall and tread depth as low mileage cars could still be running original tyres nearing 10 years old. You can get perishing of the sidewall and edge which can weaken the tyre. For tyres manufactured after the year 1999, the last four numbers identify the date of manufacture of the tyre to the nearest week. The first two of these four numbers identify the week of manufacture (which range from "01" to "52"). The last two numbers identify the year of manufacture (e.g., a tyre with the information "DOT XXXXXX2703” was manufactured in the 27th week of 2003). For tyres manufactured prior to the year 2000, three numbers instead of four indicate the date of manufacture. You might as well try and get as many optional extras as possible, see the model guide on this site to see what should be on your car. 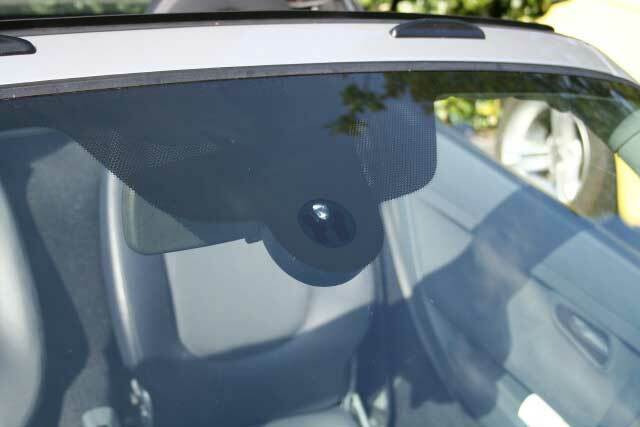 having a different windscreen so it would not be cost effective to fit this to a roadster at a later date. There are lots of other third party extras for the roadster too. If you have never driven a roadster before then be prepared to really learn the gearbox! It takes quite a bit to get used to and performs at it’s best in manual gear change mode. If you want a true automatic then I would suggest the roadster is probably not the car for you. Check the clutch doesn't clunk on pulling away. You can (at the risk of scaring the owner) try a sports start, foot to the floor from stand still and it'll rev to 3000 (I think) and then let the clutch up. Try and make sure there is no clutch slipping in any gear! Maybe a steep hill will help! It’s normal to hear a “chirrup” sound from the engine as the gears change, this is the turbo charger releasing the unused compressed air, it’s the sound of the waste gate opening, the air is pumped out back the way it came in, there is no dump valve. Some cars have had a third party dump valve fitted, this is an area of much debate as to wether it makes any difference or not. Roadsters hold the road brilliantly. If you test drive one that seems to stray from the line your putting it on, then the tyres, tracking, suspension, or something else is not right! If in doubt, test drive another and compare. Make sure there is no outstanding finance on a car you purchase. Cars sold with outstanding finance remain the property of the finance company, you stand to lose a lot of money. For around £35 you can do a check on-line which will reveal any outstanding finance and whether the car has been an insurance write-off at any time. No service history? No sale. Make sure the car has been regularly serviced, at least once a year or every 10,000 miles maximum. Really the roadster will last better going 6,000 to 8,000 miles between services. The service book should be stamped up. When you are in the car, press the button on top of the speedometer twice with the ignition on, it will tell you how many miles are left until the next service. An “a service” is cheaper, a “b service” more expensive, they are represented on the display by one or two spanner icons respectively. “a” and “b” services alternate. On early cars there was also a “c” service too. Smart revised the system making just an “a” and “b”. A really well loved car would have gone “b” service through-out, it seems most remapped owners always do the “b service”. There should be an owners manual. Also they may be a Smart dealer location booklet, although it will be out-of-date anyway! Don’t forget the radio security code card too! The roadsters have no space for a spare wheel. Smarts solution is to put a bottle of puncture repair fluid, and a cigar-lighter operated compressor under the carpet of the front passenger foot well. Check these are present and the fluid is not used or beyond it’s use-by date. Some owners have treated their tyres with a special liquid that will automatically repair any puncture. Here is one such treatment: Ultraseal; carrying a compressor and pump is no longer necessary. Be warned, such sealants make it impossible to balance your wheels! There are a lot of dealers who say the cars are not good for many miles, this is nonsense. Ignore them. 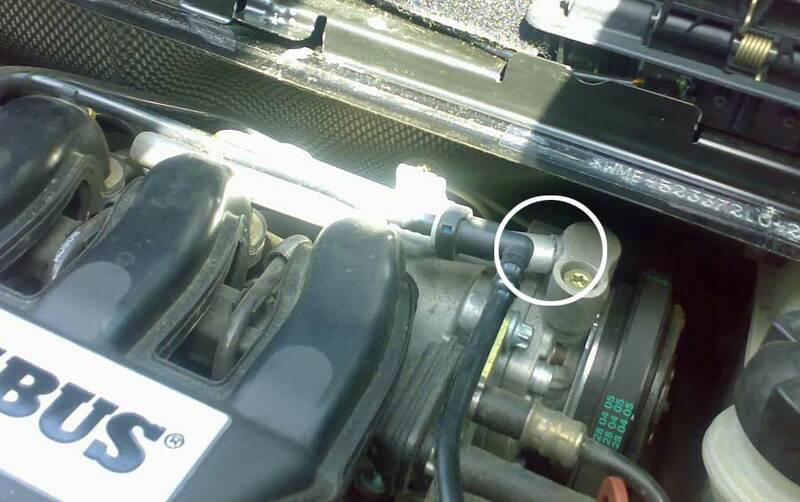 Providing the car is regularly serviced, there is no reason why it should not go on and on. Several owners have reported their roadsters turning 100,000 miles. A lot of second hand roadsters will have fairly low mileage, often the roadster is purchased as a second car. A lot of us on the forums use ours every day as our only car, they can handle the mileage if looked after. One owner with higher mileage or several owners with low mileage? Which is better? You could argue that a high mileage car with one owner has not had any problems, hence the owner kept it for a long time. You could argue that a low mileage car with many owners was problematic and passed from person to person. But, there is nothing to say that either is true or false. You have to make your own mind up. A well serviced car is key no matter what. The interior of the car has been optimised in terms of ergonomic and visibility for occupants up to 1.90 metres tall and weighing 95 kilogrammes and a petite 57 kilogrammes and 1.51 metres. The roadster you look at could show the colour on the V5C registration document as being either black or silver, it relates to the colour of the tridion, not the main colour of the car! So a red roadster with black tridion may well be listed as a black car! In 2007 the DVLA finally changed the rule that the colour of a car is not based on it’s chassis colour but more sensibly the most dominant colour will be listed. The roadster has no steering lock. Parking in reverse will stop the vehicle being towed easily. There are sites on the internet that will give you tips about your behaviour when looking at a car, and how to negotiate a good deal. You should NOT appear over enthusiastic, at the end of it all, the seller is after as much as they can get, and you should be after paying as little as possible! Good luck! Before you do any deal get the car checked by a reputable motoring organisation such as the AA, a mechanic, or a garage.